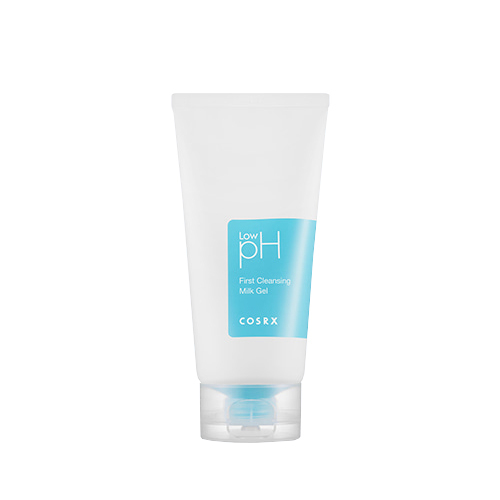 pH 5.5 Weak acidic milk gel guarantees low irritant cleansing. Refreshing Cleansing suitable for all skin types and non-skin drawing after wash.
Light gel type non-stuffy refreshing cleansing. pH 5.5 that is similar to the pH of human skins and mild ingredients facilitates perfect cleansing of the light makeup to the waterproofing sunscreen. Witch hazel and allantoin soothes and moisturizes your skin and papain enzyme cares your skin texture. 2. Gently massage and roll over the dry face to remove the makeup and skin impurities.